I like to buy a wardrobe pet to celebrate Chinese New Year (CNY). Since I'm a Dog in Chinese Zodiac, and it's the Year of the Dog - it had to be a red bag because red is the colour of good luck in Hong Kong. As it happens, I've been looking for a large tomato red bag for a year since I only have a small crossbody. And when you're a Bag Lady like me, you appreciate and use all sorts of bags in the same colour. I finally found my bag at Boden, and it's absolutely beautifully made. Looks like a Givenchy, Loewe, Balenciaga or Todds bag, but NOT at the designer price. The hardware, tassel, and topstitching are impeccable. Perfect matte gold hardware. It's a more casual bag than I am used to carrying, but somehow "just dressy enough" because of the quality. Works perfectly with last year's red loafers. Complemented. Check out the protective bag in came with. How can this bag not be mine? The lining is beautiful too ... A great find! Very nice. Looks perfect with your loafers. Radley of London did a special line for Chinese New Year. The Scottie bag was red! Love it - my gosh Boden has some lovely bags at good prices, even in Cdn $ ! I really like the look and color of that bag. its really pretty, sleek and simple. After reading the dimensions and the fact that it has outside pockets (a must for me) I am tempted. However, I really like a structured bag that can stand up on its own and does not collapse when you set it down. Would it meet that requirement? As you know I am also a fan of tomato red. Great price too! Thanks for sharing "the love". What a fantastic purchase! Wow, their quality is great! Fun shoe/ bag complement! How GORGEOUS Angie. I love it and I think I need it too, lol! I love the pebbled leather and folds. I feel like now is a good time to tell you about MY new wardrobe pet: A white pebbled leather doctor’s bag! Happy CNY and safe travels. Gorgeous and perfect for you. Happy CNY! ( Gold hardware is no-go for me, otherwise I would be considering the navy version). Also a Year of the Dog person and need pet. This is a beautiful bag and perfect for you. 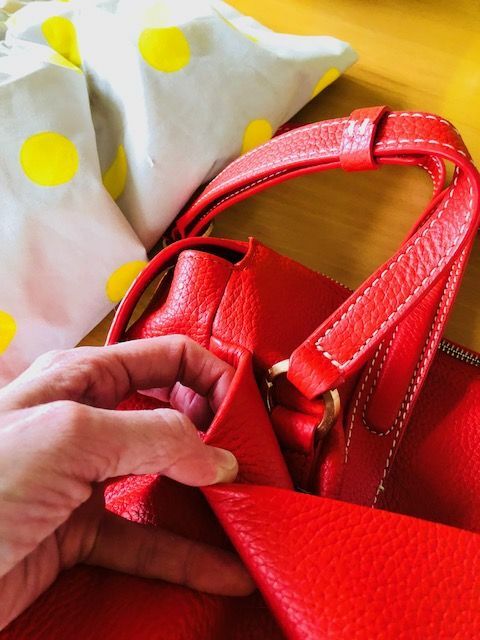 Finding the right red bag can be tricky. It took me 18 months to find my perfect one. 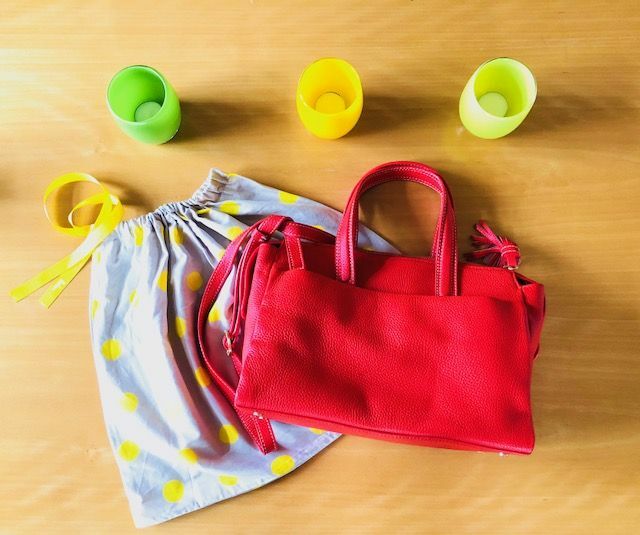 What fun, to add another red bag to your collection! Squeee! That is one gorgeous new pet! Yes those Boden bags look gorgeous,I was just sadthat the light one looks blush rather than off white/white or I d have been tempted too.Enjoy your new bag! Beautiful bag, and perfect with those loafers. Gorgeous! A very bright, vibrant red. And I LOVE the protective bag it came in. Thanks for the cheerleading, ladies. It's SUCH a happy combination. Perfect for the Year of the Dog. Smittie, you crack me up, and I love your new white bag. Bijou, lets see your new red bag. mtnsofthemoon, I hear your dilemma, my fellow tomato red and structured bag sister. Actually, it's more structured than I thought, especially when you fill it up. The quality is soooooo great that it's forgiving that way. Cardiff girl, cream or white would have been a more versatile choice for Boden to put in. Agreed. I love Boden bags (it probably seems like I work for them now, but I just have always liked them). I have 2 bags and the dustbags are so fun with the giant spots they always make me want to reach for them. JPE Just polished enough! And a brilliant color with gold hardware and topstitching!